Indiana Brother and former U.S. Senator Birch Evans Bayh has laid down his working tools and passed to the Celestial Lodge Above on Thursday. He was 91. 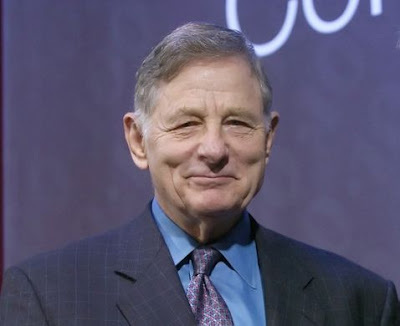 Regardless of your political beliefs or affiliations, there is no question that Brother Bayh is considered one of the most significant American senators of the last half of the 20th century. During his 18 years in the Senate, he was widely regarded as a constitutional scholar, and is the only member of Congress since the founding fathers to author two successful constitutional amendments, and a third unsuccessful one. Bayh was born in Terre Haute and grew up on a farm in Shirkieville, Indiana in Vigo County. He served four terms in the Indiana House of Representatives beginning in 1954, and at age 30, was the youngest House Speaker in Indiana history. He successfully ran for U.S. Senate in 1962 at age 34 and became the second youngest senator that year (only fellow Democrat Teddy Kennedy was younger). His surprise election was considered one of the most shocking political upsets of that year. He would win re-election against William D. Ruckelshaus in 1968 and Richard Lugar in 1974. He lost his seat in 1980 to Dan Quayle. Bayh introduced an amendment shortly after the November 1963 assassination of President John F. Kennedy that updated the order of succession in the presidency and vice presidency in the case of death, disability or resignation. The 25th Amendment to the U.S. Constitution was passed in 1967. Bayh also authored the 26th Amendment, passed in 1971, which lowered the voting age across the nation from 21 to 18, a subject of hot debate at a time when 18-year-old Americans were being drafted into the Vietnam War. Its rapid adoption was the quickest ratification of a constitutional amendment in U.S. history. Bayh also authored the Equal Rights Amendment, which failed to be ratified. He is perhaps best remembered as the principal author of the Title IX amendment to the Education Act in 1972, which granted all groups, but especially women, equal access to education opportunities, including sports. More than 40 years later, Title IX is one of the most commonly cited (and fought over) provisions of Federal education law. 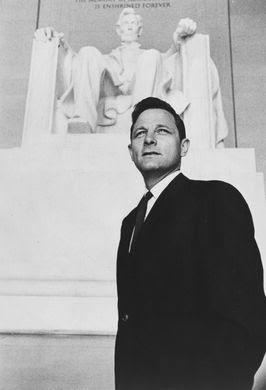 Bayh helped craft and pass the landmark 1964 Civil Rights Act and the 1965 Voting Rights Act, and he was the architect of the groundbreaking Juvenile Justice Act, which required the separation of juveniles from adults in prison and introduced rehabilitation programs for young offenders. And in 1980, he and fellow Freemason Sen. Bob Dole, R-Kansas, co-sponsored the Bayh-Dole Act that enabled universities and small businesses to take ownership of inventions that came from federally funded research. The 1980 bill motivated universities to take inventions from the lab to the marketplace, and resulted in a huge technology and industrial surge at that time. Bayh was swept out of office with 11 other Democratic senators by Republicans and the election of President Ronald Reagan in 1980. In 2003, Indianapolis' Federal Building at 46 E. Ohio St. was renamed in his honor. He is the father of former Indiana Governor and Senator Evan Bayh. His wife Marvella died of cancer in 1979. In 1981, Bayh married Katherine “Kitty” Halpin, who survives him, along with his son Evan, a son from his second marriage, Christopher Bayh, and four grandchildren. Brother Birch Bayh had been a Freemason for 63 years. He joined back in the days when other great men joined the fraternity, or they often became great men after they joined. Such men were influential on society, and their Masonic membership was symbolic of the esteem in which the fraternity was held until just the last two decades. He was initiated February 25th, 1956 in New Goshen Lodge 557; passed as a Fellow Craft March 24th, 1956; and raised as a Master Mason on April 14th, 1956. He demitted from that lodge and affiliated with West Terre Haute Lodge 687 on August 7, 2000. In March 1966, he received the degrees of the York Rite at a class of nearly 300 in Muncie that also included then-Indiana Governor Roger D. Branigin. He received his Award of Gold as a 50 year Mason October 17, 2006.